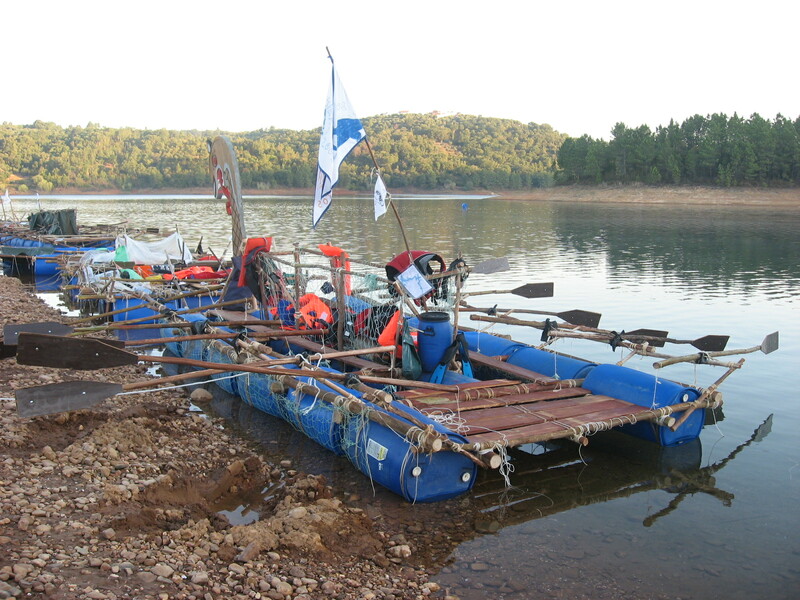 (CNE/Tomar) – For some of the Venture Units in Portugal this is the busiest period in the summer: they are in the middle of final preparations of “Down River”, an impressive river rafting activity organised by local Scout Groups for the tenth time on the Albufeira da Barragem do Castelo de Bode on the last weekend of August 2014. 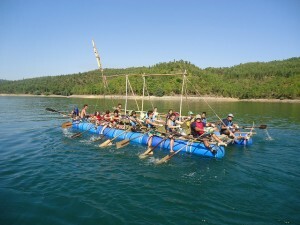 “Down River” is an activity designed for all Scouts and Guides aged over 14 from any local group in the country affiliated with one of the three associations CNE, AEP or AGP. For many of them it is a highlight in their annual calendar of events and a spectacular way of saying good bye to the summer season. 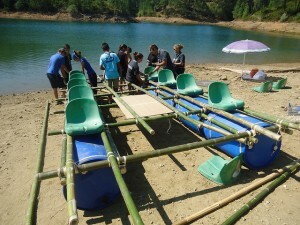 One of last year’s crews constructing their raft, including chairs for the rowers! Today, the event is hosted by three local Scout Groups (Agrupamento 44 Tomar, Agrupamento 542 Entroncamento and Agrupamento 941 Asseiceira, all established in the Santarém Region of CNE). Apart from providing participants with an exciting land- and waterbased educational experience “Down River” also aims at promoting the many potentials as recreational area of the Albufeira da Barragem do Castelo de Bode and its coastal regions. 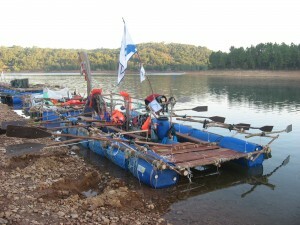 Since 2005 “Down River” has been bringing a growing number of new visitors to Albufeira de Barragem do Castelo do Bode. 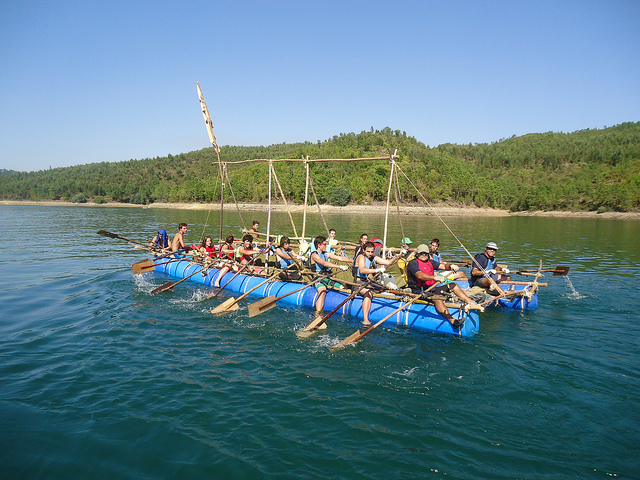 And this includes not only the participants of the event itself but also their parents, friends and other spectators who gather on the shores to admire the regatta of hand-made rafts and acknowledge the skills of the crews handling them! For more details about this year’s and earlier editions of “Down River” check the special website and follow the event on Facebook.